I will admit that I wasn’t too sure what I was going to be doing for this week’s challenge. I was looking at all of the stamp sets on my shelves and wanted to see if there was one that hasn’t seen too much ink lately and I found two! 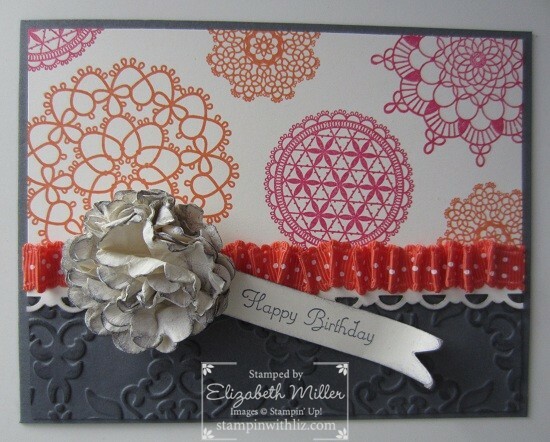 I used the banner piece for the greeting from the Petal Cone die, love that piece!